This project included demolition of the existing public toilet and change room then construction of a new purpose built amenities and change room facility. 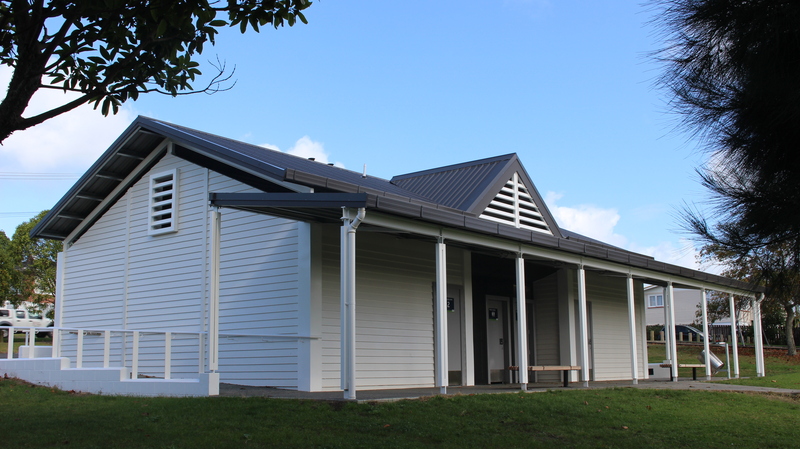 The design of the building is robust, constructed of steel and precast concrete, however designed to look like a typical weatherboard dwelling. The construction includes 2 large change room facilities, 2 accessible toilets, 2 public toilets and a separate referees room and storage facility.